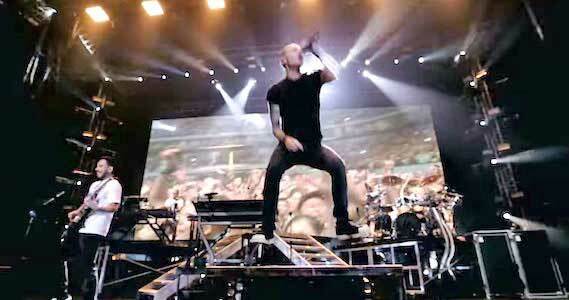 Linkin Park is one of the most prolific and best selling rock bands of the past 20 years. Their original sound consisted of blending of rap and nu metal, which was paired with intense lyrics that captured the acclaim of an entire, emotionally confused generation. Their song, “One More Light”, is one of the groups most emotional and raw tracks to date. Released as the third single off their album of the same name, the song has become a rallying cry to the band’s fanbase in the wake of lead singer Chester Bennington's suicide. The late Chester Bennington wears chucks while performing on stage. The song was written by Linkin Park band member Mike Shinoda, and was originally intended to serve as a message to those grieving the loss of a friend, as the band had just lost a friend of theirs. However, after the death of Chester, the song took on a much deeper meaning. His powerful and pained vocals became an epitaph for many fans, who would use the track as a way to pay tribute to the fallen singer. The lyrics speak about the futility in feeling sadness over the loss of one life in a world that has billions, but goes on to say that there is always someone that cares. The video uses footage of the band’s performances over the years to pay tribute to Chester. The music video was made and released after Chester’s death in July 2017, so it uses archived footage of live performances from throughout the band’s career. Some of this footage include Bennington and other members of the band donning chucks, including some shots of a more recent performance. Seeing him perform with such power and joy is a very powerful image in the wake of his death. With that being said, if you or a loved one are suffering from depression or anxiety, and are having suicidal thoughts, there are options to get help. Everybody has different ways of dealing with depression, so not every solution will work, but that doesn’t mean you should give up. The National Suicide Prevention Hotline has helped many people over the tears, and is available 24/7 at 1-800-273-8255. If a friend you know is depressed, try listening to them. Hear what they have to say and let them know you value them. Sometimes the simple act of listening and acknowledging can mean a world of difference to someone who believes that they are alone. To those who feel alone and think that there is no way out, know that someone out there loves you and values your life, and that they don’t look at you as just one more light. They care, and if you reach out, they can help you realize that as well. 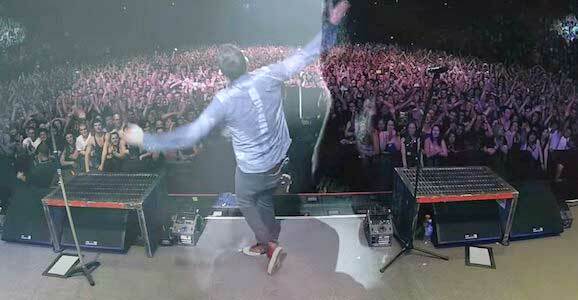 Linkin Park performs in front of a sold out audience in chucks. Use the links below to get yourself a new pair of chucks for your next performance.